GONE are the days when planks were remembered as the things used to torture pirates, since the latest craze of “planking” took the country by storm. 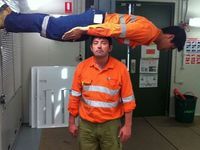 Planking involves a person lying face down on random objects, taking a photo and sharing it with thousands of like-minded fun seekers on the Planking Australia Facebook page. More than 9000 people “like” the page, and hundreds have shared their photos, including planking naked, on top of a V8 motor and even a bridge. The craze came under the spotlight this week, when a 20-year-old Gladstone man was charged for planking on top of a police car. But Bundaberg's Jason Rozycki, 19, said planking was not about breaking the law but rather a different way of having fun. “It's a surprisingly fun way to kill time,” he said. Mr Rozycki and his friend, Josh Wolff, started planking about a week ago, after reading about it online. “It looked pretty cool, so we had a play,” he said. The “mad” objects the pair use include trolleys, pipes, shelves and shopping centre escalators. “It's the fact it's so random that makes it fun,” he said. Mr Wolff, 21, said the hobby had really taken off in Bundaberg and had positive health benefits. “A lot of core strength is needed,” he said. Police Inspector Kev Guteridge said although it was not illegal to plank, he warned there could be legal consequences. 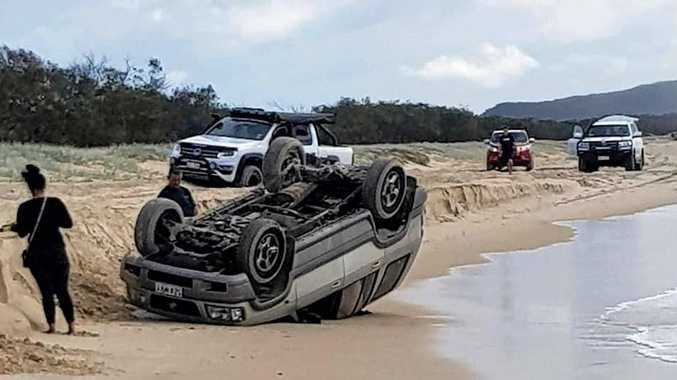 “If it endangers the safety of a person, or is likely to cause damage to a person's property, it will certainly be an issue that police will be interested in,” he said. Insp Guteridge said there was a concerning trend among young people who engaged in “borderline illicit activity” as a means of fun. “Tragically, sometimes these apparently harmless acts can lead to people being injured or even killed,” he said. But Mr Wolff said common sense should prevail before participating in risky or potentially dangerous planking. “If anyone gets hurt, it's the person's fault,” he said.